Here at the slots guru we don’t recommend too many online casinos but the ones we do review we have been using for a long time and are happy to stand behind our words. 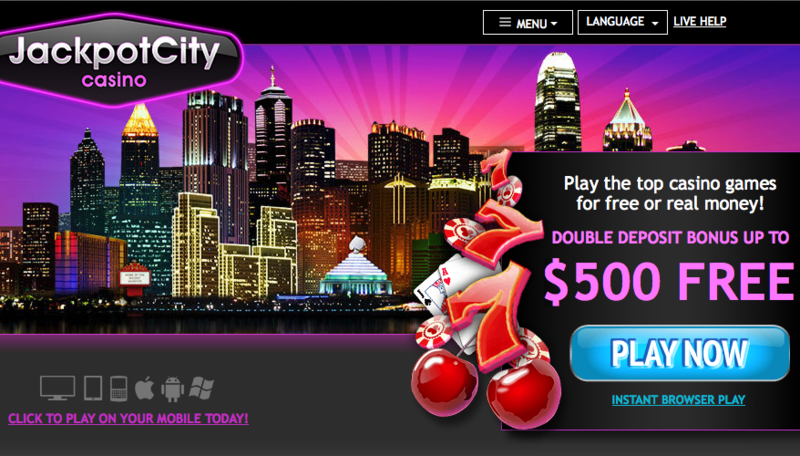 Jackpot City Casino has been part of our gaming routine for many years now and that’s because it’s been part of the gambling world since way back in 1998. As slots fans we particularly like this casino as Microgaming provide the majority of the games available. Microgaming are one of the world’s leading suppliers of online slots and at this casino more than 300 are available for your enjoyment. 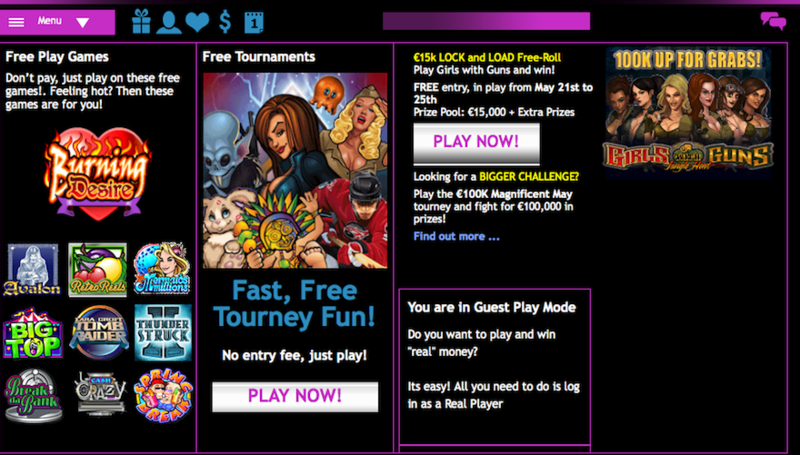 Slots are not the only game available though and roulette and blackjack fans are also catered for. One of the great things we like about Jackpot City is the availability of loads of free games so if your account is running a bit low and you don’t want to spend any more money, you can still play your favourite slots. There’s a nice bonus available for new players at this casino and you’ll need to download the free software. Once that’s done you’ll get a 100% bonus on anything you deposit up to £200. If that’s not enough you’ll also be eligible for another 100% bonus on your second deposit up to £300. On top of the welcome bonuses there are numerous ongoing promotions taking place each week and each month, many related to how much you play. Players who deposit and play more often will be eligible for more promotional prizes and will also accrue more loyalty points which will eventually translate into free cash. Players can easily navigate their way around the simple layout and it’s also a breeze to access the free games from the front page; there’s a nice clear ‘Menu’ to access all the main areas right at the top of the screen. Every mobile device is catered for so you need never be without access to your slots fix. Pretty much all banking and deposit options are available and players can take advantage of methods such as Ukash, Neteller, Mastercard and Visa. We’ve always found customer support to be prompt and helpful although we have rarely had cause to contact them. Telephone and live chat support is available so a resolution is always instant. Fair play is a big feature of Jackpot City and Random Number Generators are used as well as independent payout auditors. The casino is licensed by the Maltese Lotteries and Gaming Authority. 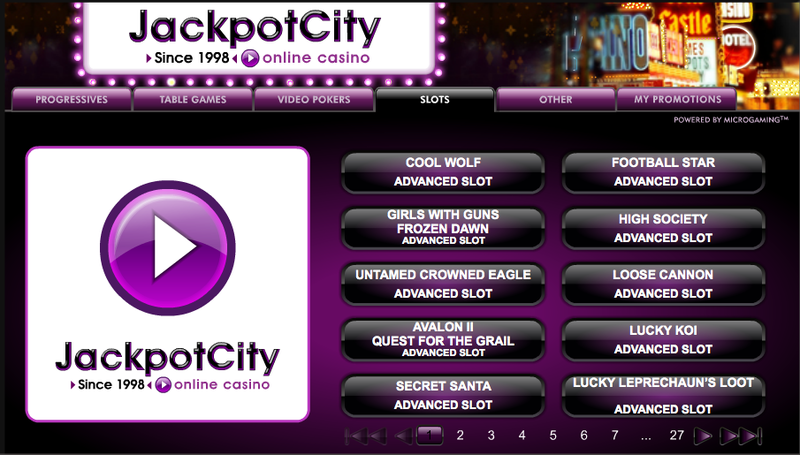 Like other casinos, Jackpot City’s bonuses come with wagering requirements attached. For the sign-up bonus there’s a flat rate of 50x the bonus amount. For example if you deposit £100 and receive a 100% bonus of £100, you would have to wager a total of 50 x £100 (£5000) before being able to cash out.